If you’ve always dreamed of buying land, East Texas is a good choice. This area offers many beautiful lots for sale at affordable prices. 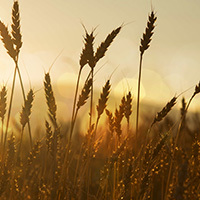 In places like Hamilton, Blanket, and Adamsville, you’ll find acres of beautiful land you’d be proud to call your own. Looking for inspiring views? You’ll find them in East Texas. How about creeks and gullies? Yes, these are plentiful in this verdant region. Want natural groves of mature trees, including oak and pine? Once again, you’ve come to the right place! All of these wonderful features can be found on owner-financed land for sale in East Texas. 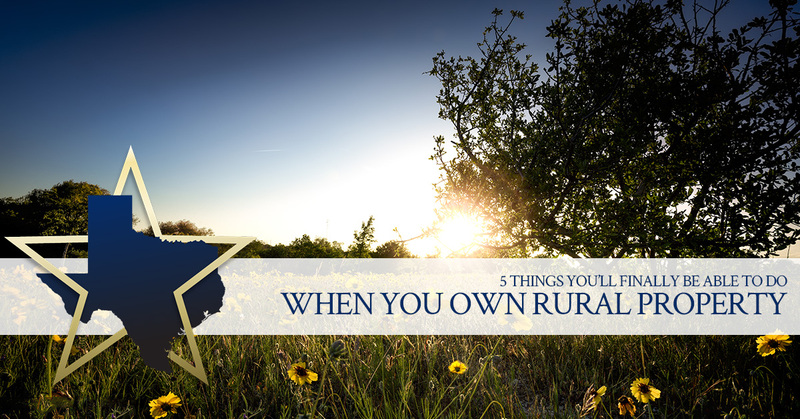 Now that we’ve talked about what you can find in the region in terms of natural features, let’s go over five things you can finally do once you own rural property. Your financial portfolio may consist of several entries, including savings accounts, stocks and bonds, certificates of deposit (CD), and other financial vehicles. These are great, but it’s wise to diversify your portfolio with some tangible assets as well. Land is a great tangible asset to add to your financial portfolio for a number of reasons. First, you can hold on to it for as long as you want without having to do any improvements. What’s more, you don’t have to maintain your rural land, since there are no manmade structures to paint or repair. Without any buildings to take care of, you won’t have to pay for electricity or other utilities. You may have to clear some areas that occasionally become somewhat overgrown, but you probably won’t have to do this very often. Unlike rental properties or vacation homes, land is extremely easy to hold on to with minimal care required. Land prices tend to increase over time. While the increases may not be as dramatic as they are with the real estate market, they tend to be more stable, which is a huge plus for the investor who gets nervous with fluctuating markets. When you have your own rural property, you don’t have to just hang on to it until you’re ready to sell for a healthy profit. You can actually enjoy it while it’s in your possession! Lots for sale in East Texas come with beautiful trees, water features, sweeping vistas, and other geological elements (such as hills, knolls, and canyons) that are downright inspiring. Once you’ve purchased owner-financed land for sale in Texas, you can do with it as you please. You can explore it! You can hike or stroll among the trees and along lakes and creeks. You can pull out a lawn chair and simply soak in the fresh air! The land is yours to enjoy some time for relaxation and rejuvenation. Do you spend most of your time at work or at home? If you find that you’re spending way too much time indoors, you’ll probably see that your rural property has a way of beckoning to you and getting you out of the house and into the great outdoors! Whether it’s the excitement of driving out to check on your land or the sense of adventure of exploring every inch of the acres you now proudly own, your land will call to you, getting you out of the house and into the heart of nature. Grow As Much Food As You Want! Have you ever dreamed of growing enough food to feed not only your immediate family, but your neighbors and extended family as well? Many of the lots that we have for sale here in Texas are sizable, giving you plenty of room to work with for your small-farm dreams. You might even find yourself making a profit selling your specialty produce to local restaurants and at regional farmers markets. Speaking of dreams, what’s wrong with just daydreaming and doing nothing now and then? In our busy modern lives, we sometimes feel we have to stuff every section of our calendars with stuff to do, but this is not healthy. Balance is important, and your rural property will give you an opportunity to meander, daydream, and do nothing for a while. Don’t underestimate how good this can be for your soul and your mental wellbeing! Now that we’ve shared with you five great things you can do with your rural property, we invite you to explore the lots we have for sale in East Texas. The Creekside Ranch Group actually offers owner-financed land for sale here in Texas, making it easier and more convenient for you to make your purchase. Take a look at our beautiful properties today, then get in touch to get your land-buying process started!